Natrona County Educators affiliated with the Creative Arts, Communication and Design Academy brainstorm the first week of school. 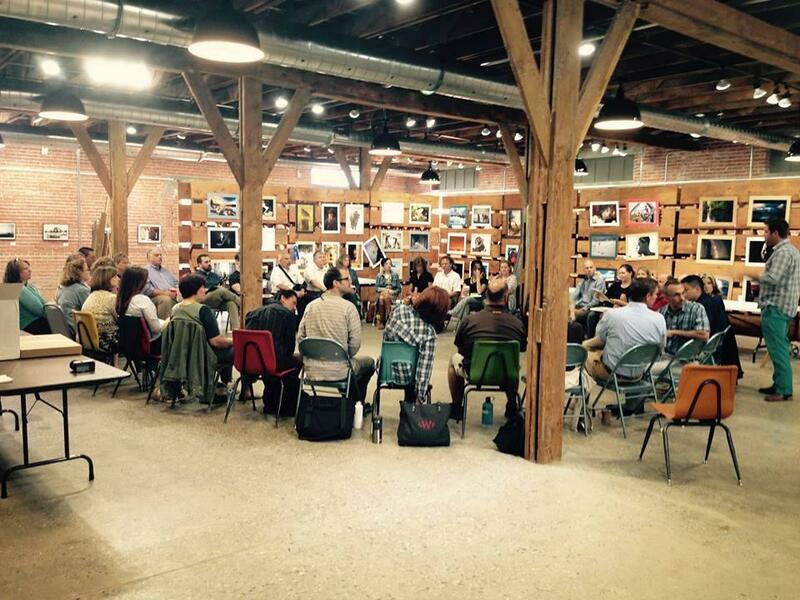 Inside a Casper art gallery, a few dozen teachers are seated in a circle, listening to a presentation chock-full of teambuilding buzzwords. 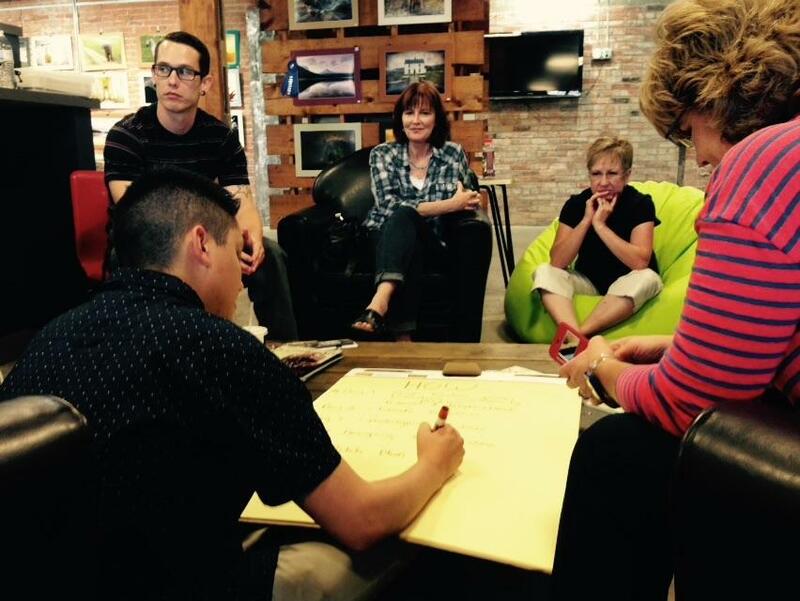 This is a “design camp” for Natrona County’s new academy-based learning center. 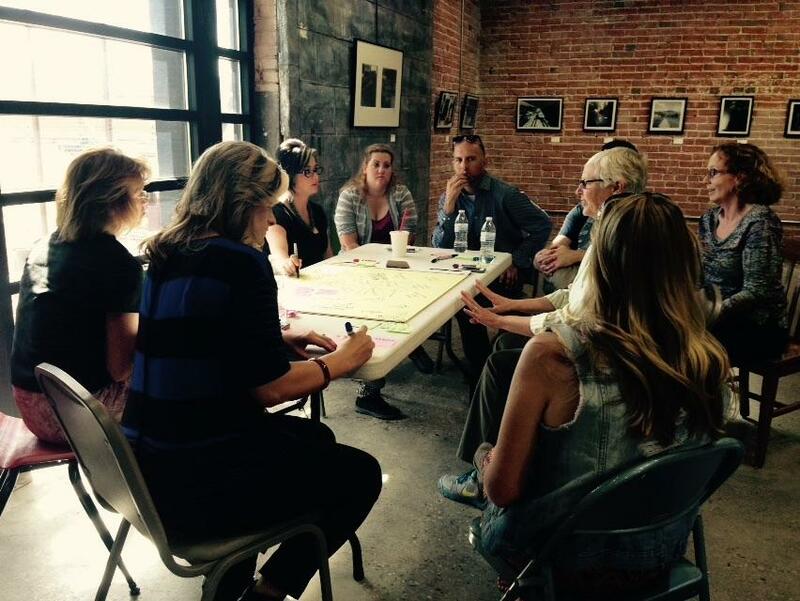 These educators get together weekly to plot a reinvention of the high school experience for kids in Casper. 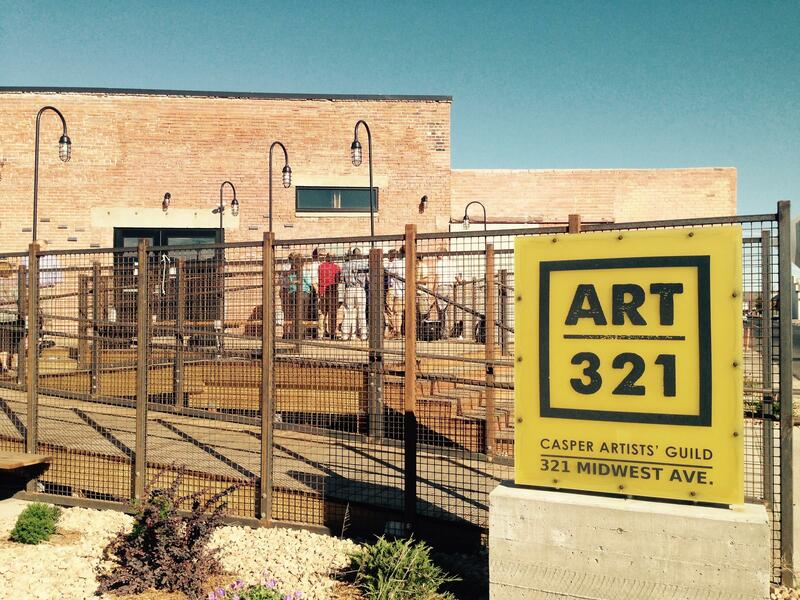 Natrona County educators met at Art 321, an art space in Casper. “When we open our school, it’s going to be the first time for a whole new way of learning,” says Bryan Aivazian, a coach at one of four career academies that will be housed in the new center, which opens in one year. This bold endeavor has been in the works for nearly a decade. It’s a shift to ‘academy-style learning,’ where students’ lesson plans and activities are designed around their career interests. Teachers here today are husting to create a system that will deliver results. “We want to make a very, very big first impression—not only on the kids who enroll for that first year, but on the community as a whole, the larger educational field,” Aivazian says. He’s with the Health Sciences and Human Services Academy. There’s an academy for architecture, construction, manufacturing and engineering called “ACME”, one for business, agriculture and natural resources (BANR), and another for the creative arts, communication and design (CACD). They’ll offer a range of professional certifications, but Aivazian says this won’t be a trade school. 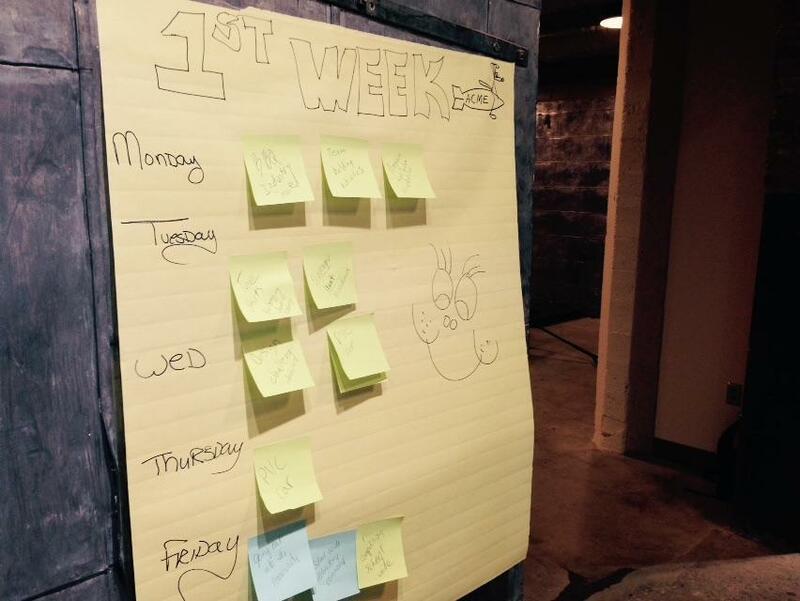 Educators with the business, agriculture and natural resources academy brainstorm the first week of classes. “Yes, there are those opportunities, but really what we’re trying to do is—no matter where a kid is in terms of what they see as a possible career path, we’d like to be able to tie their day-to-day learning in school with an interest or a passion,” Aivazian says. So if a student likes construction, many of her lessons at the academy—in math, English, history, etc.—will be construction projects. The high school graduation rate in Natrona County is about 74 percent. Chad Sharpe is principal of the new academy-based school—which is a big part of the district’s plan to get more kids to graduate. Sharpe’s building isn’t a traditional high school. No mascot. No prom. It’s a program open to all juniors and seniors in Natrona County School District. Students who join a career academy will leave their home school to spend half the day doing hands-on learning activities with groups of students and teachers. This model exists in Rock Springs and Gillette, but is new for Natrona County. The academy-based learning center will have a few things in common with an existing program, though, Casper’s Star Lane Center. The academies program will use a range of similar interactive learning styles. And whether it’s “problem-based” or something else, these are all hands-on learning methods that go beyond traditional lectures and quizzes. Star Lane isn’t career focused, and that aspect of the new academies piques Vlastos’s interest, but she says she’s not sold yet. Despite class visits and info-sessions, many students and parents still don’t know much about the academies. But back at the ‘design camp,’ academy coach Molly Voris says, like it or not, the program is going to transform the entire school district. “So we would hope that we see this as an opportunity to unify our district, and make a bridge, as opposed to making an island,” Voris says. 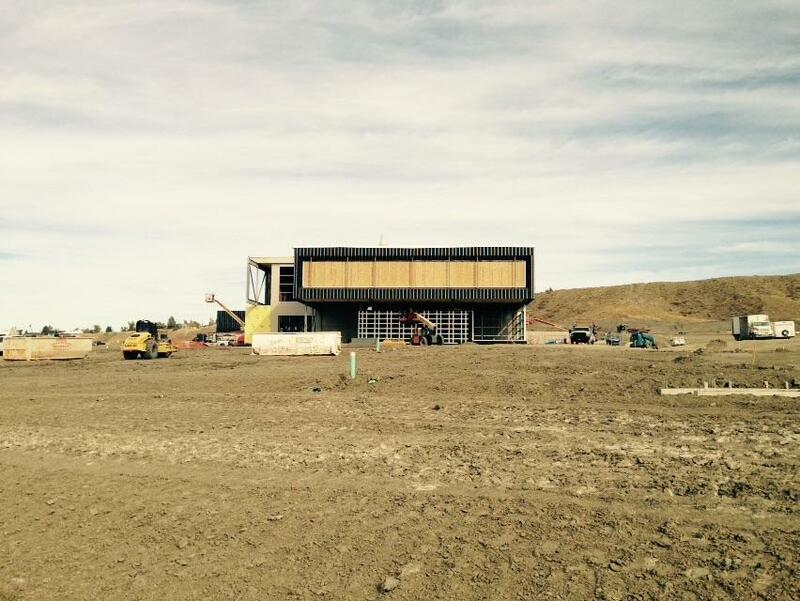 The new academy learning center is being built near CY Middle School in Casper. Each Academy and career pathway was designed with input from local employers in the field. The roughly $26 million facility is being built in West Casper—and will welcome as many as 1,000 high school students each day. But it’s not going to look or feel like Casper’s other high schools. This new building with something to prove is lacking at least one thing vital for maintaining a good impression—a name. Its old one, ‘Center for Advanced and Professional Studies’ or ‘CAPS’ was dropped this year over a trademark dispute. 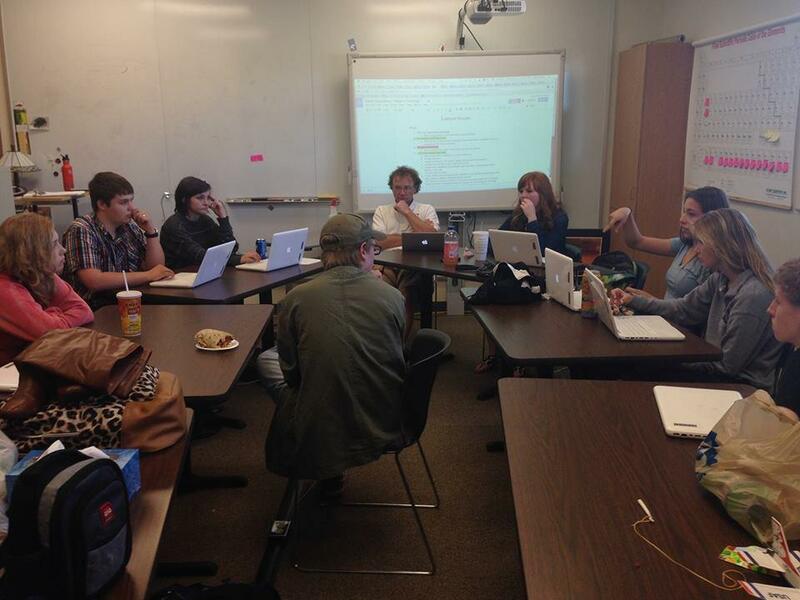 The district’s high schools are working together on a new one. The facility formerly known as CAPS opens next year. These reports are part of ‘The American Graduate: Let’s Make It Happen’—a public media initiative to address the dropout crisis. Supported by the Corporation for Public Broadcasting. 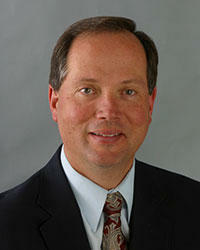 This summer, the University of Wyoming’s College of Education welcomed a new dean. Dr. Ray Reutzel was hired amid a major effort by the University’s Board of Trustees to boost the College to national prominence in teacher training. Reutzel himself attended the College decades ago. Wyoming Public Radio’s Aaron Schrank sat down with Reutzel—and began by asking him what impact his experience as a student at UW's College of Ed has on his approach as its dean. Fort Washakie senior Keenen Large watches from the bleachers as his grade school counterparts parade through the school gym in traditional dress. This is what the school calls ‘Indian Days.’ Keenen remembers what it used to be. 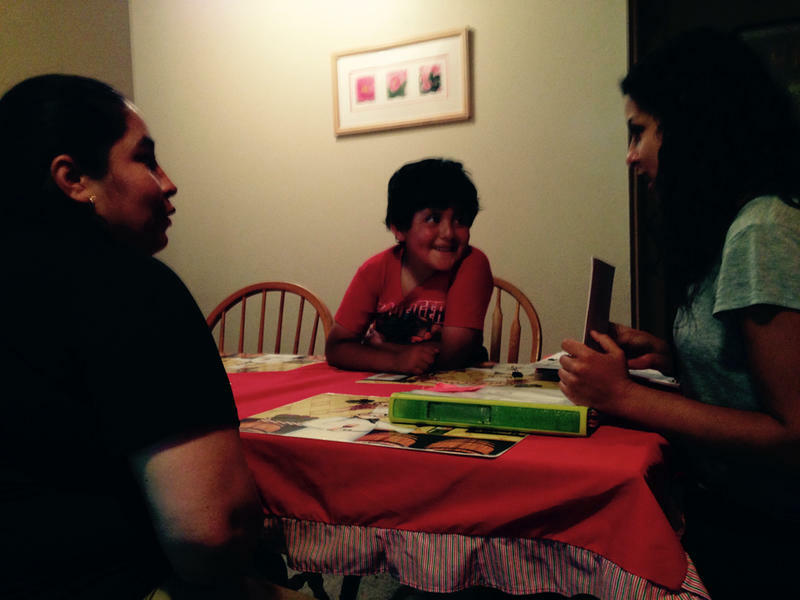 Fiorella Lazarte is an early literacy coordinator with Jackson’s Teton Literacy Center. Today, she’s driving across town to the home of one her 5-year-old students. Homelessness among Wyoming students grew 40 percent from the 2012-2013 to 2013-2014 school year, according to data released this week by the U.S. Department of Education. That’s more than four times the average increase seen around the country—and means the number of homeless students in the Cowboy State has doubled since the recession.